Jenny Stone isn’t the typical college student body president. For one thing, the Germanna Community College Student Government Association leader and Falmouth resident is 40 years old, and her 21- and 20-year-old sons plan to join her at GCC for the spring semester. She’s survived two bouts with ovarian cancer. During her second cancer surgery in 2007, she had a cardiac event on the operating table, she says. A major heart attack and quadruple bypass followed a year later at age 35. ﻿﻿﻿﻿﻿﻿﻿﻿﻿﻿﻿﻿﻿﻿﻿﻿﻿﻿This month she suffered a minor heart attack. Doctors tell her that her heart disease has become a grave concern, she says. She plans to soon take part in an SGA trip, a winter formal dance and a Fredericksburg Food Bank drive. “I’m not resigned to dying,” she says. “But I understand it could happen any moment. She ran Stone Soup Catering at Little Washington in Rappahannock County until health problems forced her to stop. “Catering was something I was good at and I loved it,” she says. 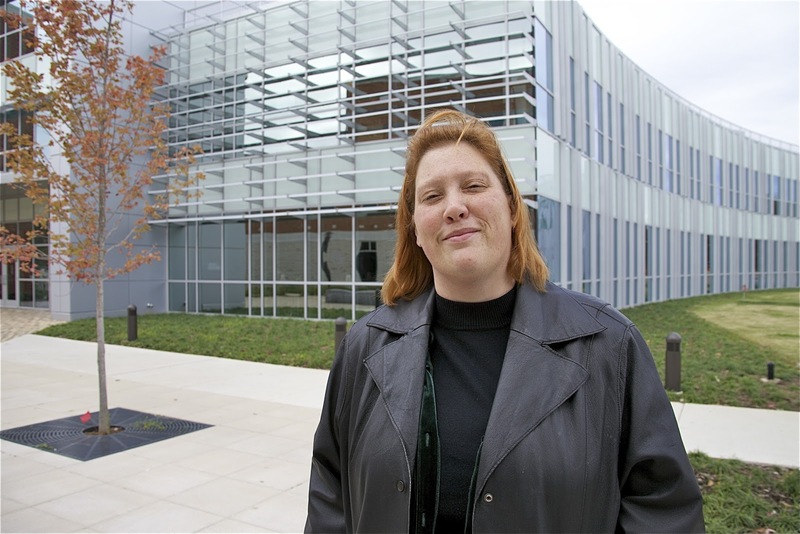 She’s found herself again at Germanna, she says. “This school has been a revelation,” Stone says. “I am so looking forward to my bachelor’s and master’s work. She’s studying psychology and plans to get her associate’s degree at Germanna, then transfer to the University of Mary Washington for her bachelor’s and possibly Marymount University for graduate work. She has been a Sunshine Lady Foundation Scholar through the Germanna Educational Foundation. “I had not been in school in 20 years,” she says about coming to Germanna. “I was as terrified as an 18-year-old coming out of high school. I felt behind the times and old. " But that feeling didn’t last long. The fact that she’s been elected SGA president is evidence that she’s accepted by other students, and she says GCC’s faculty has been “inspirational,” particulary psychology Prof. Evan Gorelick. She said she hopes her psychology studies lead to work helping police officers who are under stress, as well as family counseling. “When you get to the point that your next minute may be your last, you think carefully about what you want to spend time on,” she says. “I want to see my sons finish college … I want them to go on to feel they are a part of a community greater and larger than themselves.” She said accepting her own mortality led to her focusing on helping others. She's worked with the student government at Germanna to help victims of Hurricane Sandy. Madison County husband and wife John W. “Bill” Price III and Patricia Adams Price have been named Germanna Community College’s 2013 Philanthropists of the Year. They were honored at the 2012 Germanna Educational Foundation Annual Dinner and Celebration of Philanthropy Nov. 16 at Stevenson Ridge Lodge in Spotsylvania County. Culpeper Regional Health System President and CEO Lee Kirk presented the college with a $40,000 donation at the event. Germanna President David A. Sam thanked Kirk and CRHS. 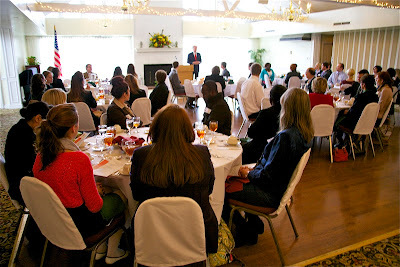 "For your continuing support of Germanna. When you invest in Germanna, you're investing in people--our students--and in our community." Culpeper Regional Health System's Lee Kirk presents Germanna Educational Foundation with $40,000 donation at GCCEF's Annual Dinner. 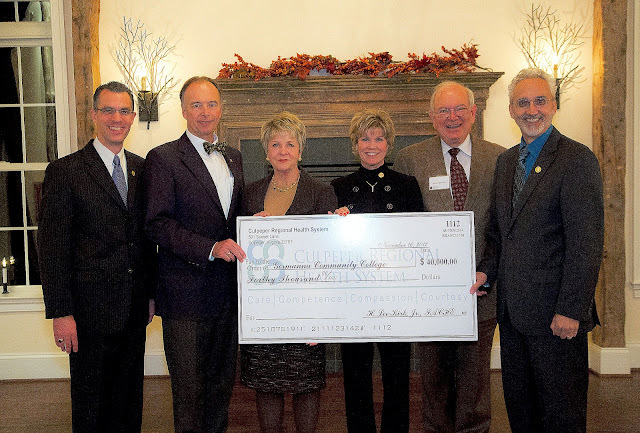 Left to right: GCCEF Executive Director Mike Catell, CRHS President and Chief Executive Officer Lee Kirk, GCCEF Board Member Connie Kincheloe, GCCEF Board member Butch Davies, GCCEF President Jane Wallace and Germanna President David A. Sam. Bill Price, an employee of Madison Wood Preservers, Inc. since 1972 and currently the Chief Executive Officer, is a life-long resident of Madison County. Pat Price is from Carrollton, Al. They met while attending the University of Alabama. After college, he taught at Madison County High School for three years and she was a substitute teacher. He went to a junior college in Texas for two years before transferring to the University of Alabama, “So I know how important community colleges are, especially today, a lot of kids just cannot afford to step right into a four-year school. The expense has just gotten out of hand. He served on the GCC Educational Foundation board for 17 years and was president of the foundation for two years. 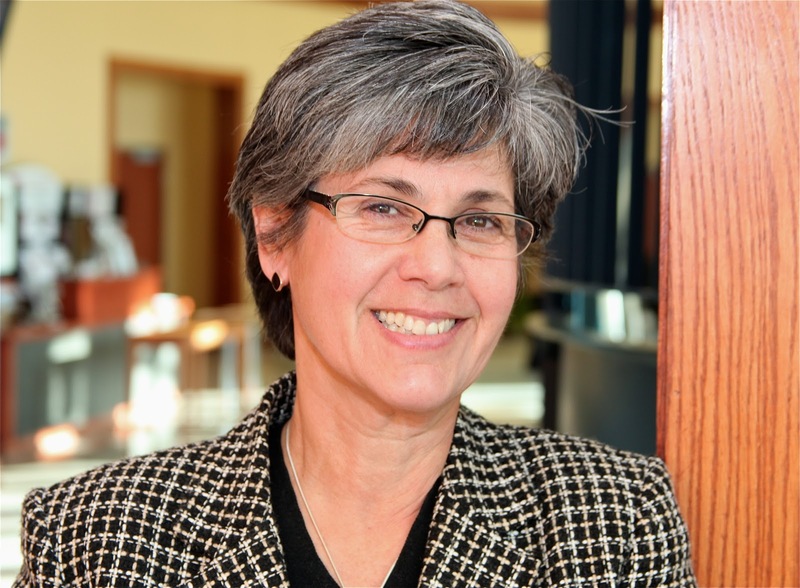 Pat Price is on the board of the Boys and Girls Club of Central Virginia in Charlottesville. "The Foundation greatly appreciates the Prices' generosity--their gifts in terms of time and energy as well as donations, over many years," said GCCEF Executive Director Mike Catell. · John J. “Butch” Davies, III, a Culpeper attorney and former member of the Virginia House of Delegates, was named the GCCEF Board Member of the Year. · The Rev. Lawrence A. Davies, who recently retired after 50 years as pastor of Shiloh Baptist Church (Old Site) in Fredericksburg, and was that city’s first African American mayor, was honored as GCCEF Community Member of the Year. · Steve B. Jones of Spotsylvania County was named GCCEF Alumnus of the Year. He graduated from Germanna in 1979 with an Associate Degree in Business Management. He is President and Chief Operating Officer of the Fried Companies, Inc. a regional residential and commercial real estate development firm located out of Fairfax County with offices in Springfield, Spotsylvania and Greene County. The Rev. Lawrence A. Davies, who retired recently as pastor at Shiloh Baptist Church (Old Site) in Fredericksburg, has been honored by Germanna Community College’s Educational Foundation as its first Community Member of the Year. Davies was the city’s first black mayor, serving from 1976-96. 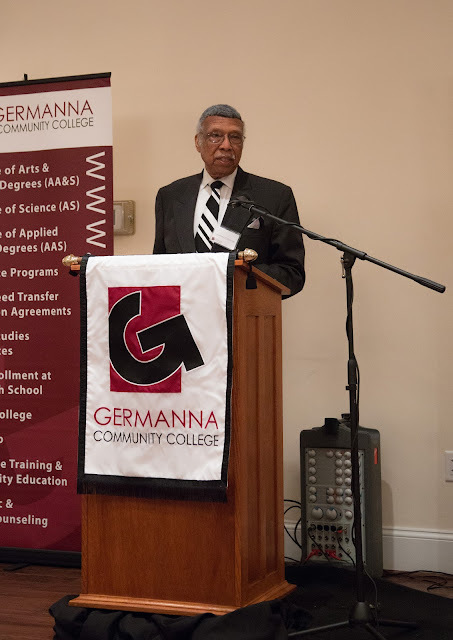 Germanna President David A. Sam announced during the foundation’s annual dinner and celebration of philanthropy that the new award will be named for Davies. The award will be given annually to someone who has made a major difference in the community. In honoring Davies, Foundation President Jane Wallace said he and his wife Janice together have “been a force for peaceful and positive change” over the past half century. 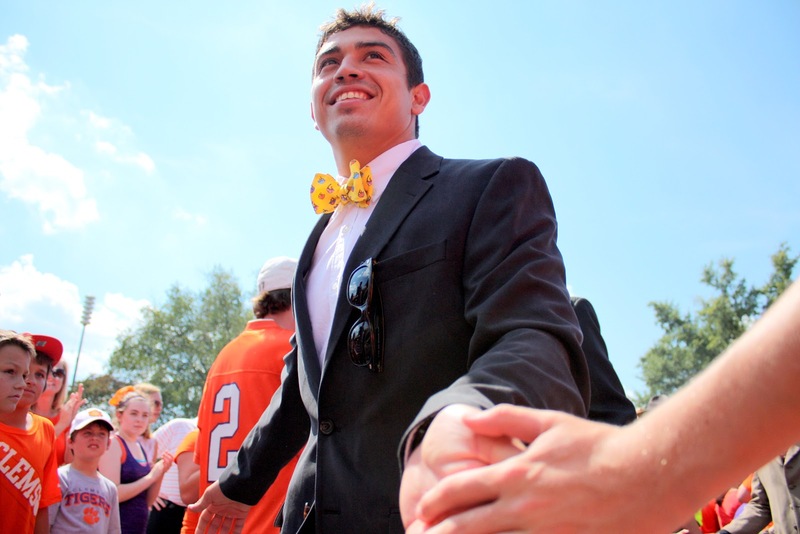 Clemson fans shake Daniel Roriguez' hand before a game. This Veterans’ Day is a special one for former Germanna Community College and Brooke Point High School student Daniel Rodriguez. Rodriguez, who earned both a Bronze Star and Purple Heart while serving in the U.S. Army in Afghanistan, has seen a dream come true this fall. He made the Clemson football team as a walk-on, and led the Tigers onto the field carrying an American flag prior to the team’s Oct. 21, Military Appreciation Day win over Virginia Tech. Rodriguez’ fight was far from over after tours of duty in Iraq and Afghanistan that saw him wounded and decorated for valor. He was a football star at Brooke Point in Stafford County, but he was too small for a football scholarship. His father suffered a heart attack and passed away four days after Daniel graduated. Without a scholarship or a father, he felt he couldn't afford college, so he enlisted in the Army. In Afghanistan, when his unit of 60 men came under attack by 300 Taliban, he saw a buddy shot in the head. Daniel exposed himself to enemy fire to help his friend and was shot in the shoulder and took shrapnel in both legs as he fought his way through the Taliban to reach him and drag him out of the line of fire. Then he realized his buddy was dead. 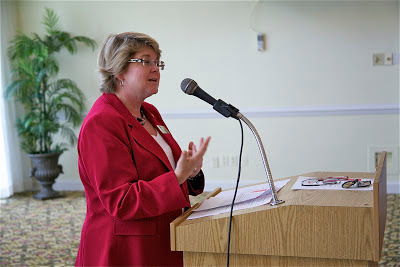 Germanna Community College Dean Martha O'Keefe received the Patricia Lacey Metzger Award for achievement during the 19th annual Leadership Colloquium for Professional Women on Thursday, Nov. 8, 2012 at the University of Mary Washington. POSITION: Dean of Workforce and Professional Development, Germanna Community College Center for Workforce and Community Education. COLLEGE ACTIVITIES: The Center for Workforce and Community Education provides noncredit professional development training and services throughout the Germanna service region, which includes seven counties and the City of Fredericksburg. 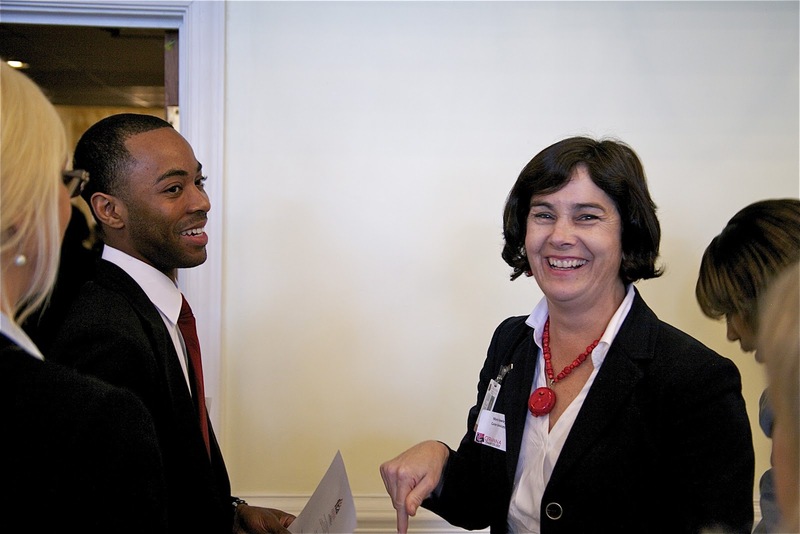 I oversee a wide range of professional development courses and programs, primarily in the areas of IT, business professional, construction and industry, and health care. We are also developing many new courses in the areas of intelligence and homeland security, as well as in cyber security, to meet the current demands of employers in our service region. 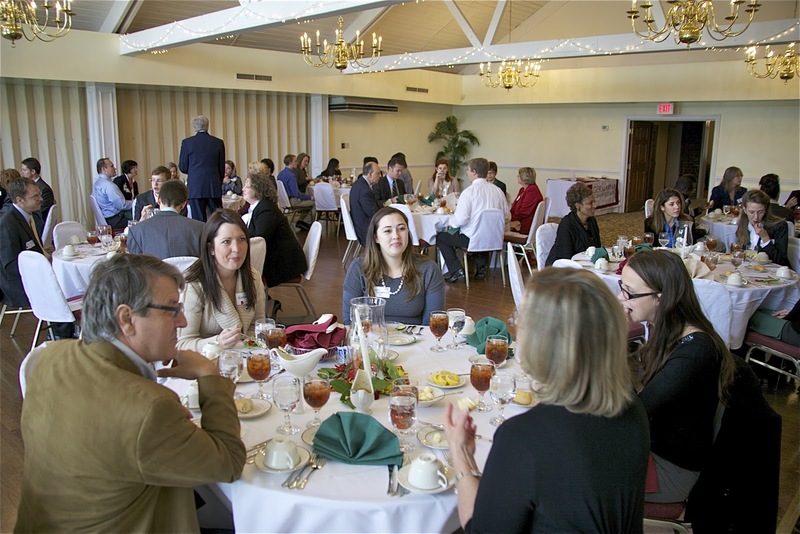 Our department stays well connected with the business community, local offices of economic development, chambers of commerce, local school divisions, and sister colleges and universities to collaborate and provide the best educational services available. A typical day for me might include meeting with business partners, working with instructional faculty, administering grants, assisting students, and planning new programs and services. Within the college, I have served on various committees including the International Education Committee, the Curriculum Committee, the Student Appeals Committee, the Technology Committee, and the Safety Committee. And out in the community, I regularly participate on a variety of business committees and serve on several regional boards of directors. COMMUNITY ACTIVITIES: I'm active at my church and also occasionally volunteer at the local food pantry. And when my children were younger I helped coach their athletic teams. HOBBIES: I enjoy just about any outside activity, though on most weekends, I can be found working in the garden. I also enjoy swimming, hiking, running, and yoga. I BECAME AN EDUCATOR BECAUSE: I enjoy working with others and believe that education is the key to helping individuals grow intellectually, which translates into their ability to develop confidence, competence, and independence; and then, hopefully, they can and will pass their success on to their own children and the other lives they touch. I LOVE MY JOB BECAUSE: It's an opportunity to directly impact the lives of others— by opening doors, and possibilities, that might otherwise have been closed to them. Working at Germanna is also an opportunity for me to be creative, and be part of a collaborative and committed team of professionals. IF I WASN'T IN EDUCATION, I'D BE A/AN: This is a tough one, because I have a variety of interests and passions. During college years, I gave consideration to, and was quite interested in, careers in graphic arts and art history, architecture, veterinary medicine, and farming or horticulture. I continue to read a good bit about these topics. MY FAVORITE SAYING/QUOTE: Many years ago, this one by Anita Roddick stuck with me: "Be courageous, it's one of the only places left uncrowded." I think it's inspirational for those who are unsure of what path to take. WHEN I RETIRE I WANT TO: I am not even thinking of retirement yet! Though perhaps that's just my avoidance of thinking about getting older. However, I suppose when I do retire, I would be interested in working in the nonprofit sector. Perhaps working with disadvantaged youth or with organizations focused on community revitalization or redevelopment. I also enjoy traveling, and hope to travel more, and continue learning more about other cultures. ANYTHING ELSE YOU'D LIKE TO SHARE: My family has been very supportive of my career, for which I am very appreciative. Though our three children are grown, and (mostly!) moved out of the house, my husband and I always enjoy family trips to the beach and time spent with extended family. 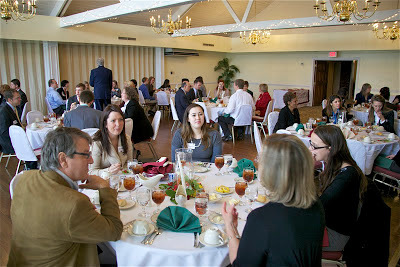 Gene Bailey, president of the Fredericksburg Regional Alliance, offered career advice to about 60 Germanna students, faculty members and staffers at a “Knowledge: Key to a Larger Paycheck” luncheon at the Fredericksburg Country Club Tuesday, Nov. 6 organized by GCC Career Counselor Marie Hawley. Bailey gave Germanna students tips on networking, opening lines, dining room skills, putting together resumes and job interviews. Perhaps the most valuable advice Bailey shared is that the students should keep in mind that others are probably just as nervous as they are. 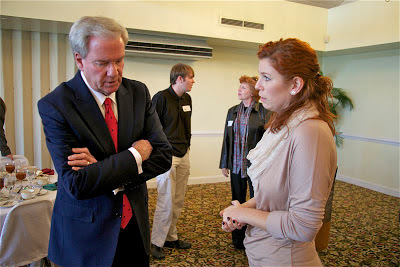 He invited the students to attend FRA’s 13th Annual Meeting luncheon as his guests and told them not to be intimidated. “Everybody is scared of something,” Bailey told the GCC students. RICHMOND — Marine Corp veteran Dave Graf was laid off from his job in 2009, shortly after returning from two tours of duty in Iraq as a helicopter maintainer and gunner. He then decided to use his G.I. Bill benefits and enroll in Blue Ridge Community College where he earned a total of four postsecondary credentials in aviation and automotive maintenance, including two associate’s degrees – all while maintaining a perfect 4.0 grade point average. Graf’s story is not unique. And it represents the goal of a new series of grants announced jointly by the Office of Governor Bob McDonnell and Virginia’s Community Colleges. Up to $1.25 million in Workforce Investment Act (WIA) Rapid Response Assistance funds are available to build strategic partnerships aimed at connecting veterans who have recently separated from their military service, as well as eligible military spouses, with good-paying jobs in high-demand fields. Individual grants proposals can apply for a maximum award of $250,000. Each proposal must include a Virginia Community College; a Local Workforce Investment Board; a local VEC Disabled Veterans’ Outreach Program; and a Local Veterans’ Employment Representative. Proposals may also include education and training providers as well as faith-based and community based organizations. More than 823,000 veterans live in Virginia, according to statistics released last year by the Department of Veterans Services. Proposals for funding will be accepted until December 19, 2012 at 3:00 p.m. The full RFP is available on the VCCS Web site under Workforce Grants. About Virginia’s Community Colleges: Created more than 40 years ago, the VCCS is comprised of 23 community colleges located on 40 campuses across the commonwealth. Together, Virginia’s Community Colleges serve more than 400,000 students a year. For more information please visit myfuture.vccs.edu.